Recently Golden received a pineapple express weather system that brought rain and freezing levels to around the 3000m mark. Winter is taking a break for now, but the pow will return. I promise. Now is a good time to explore new zones or try to get some snowboard or ski laps in. Along with all the amazing sledding, Golden is a very sled friendly town. I’m referring to the amenities around town such as hotels, restaurants, gas stations, and snowmobile dealers/repair. Golden is a ‘big sled trailer’ friendly town with most of our gas stations built to accommodate tractor trailer units. Our hotels also welcome large trailers and some of them even have a waterslide. WAHOOOOO! Don’t forget to bring your skis as our main groomed areas offer excellent sled access skiing. 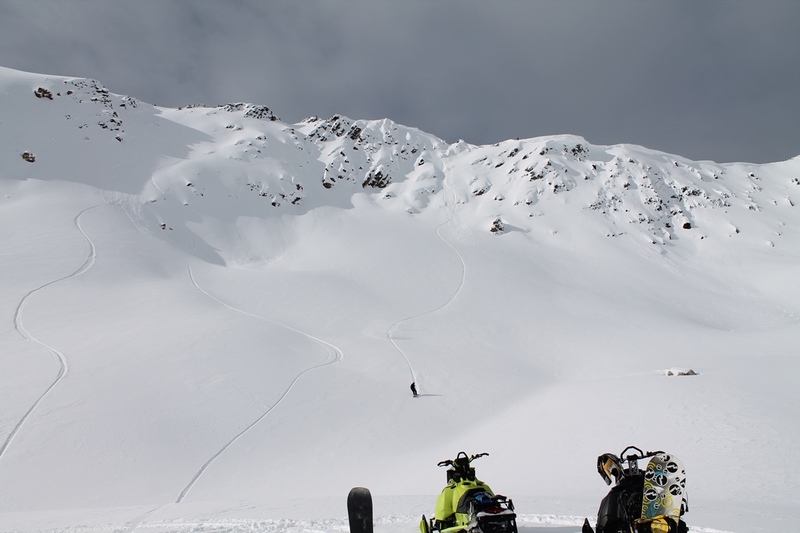 And of course there is 4133’ of vertical to be explored at Kicking Horse Mountain Resort. Having a cocktail after a day in the mountains is never an issue at one of Golden’s many fine cocktail establishments, with Mt. 7 taxi offering DD services.